Well, the day of my birthday was so lovely. We did not do anything 'special' as such, or go to any kind of fancy restaurant. But just spent the day together, walking around London! It was just the nicest day! We started by heading to Fulham (I think, it was a while ago now!) 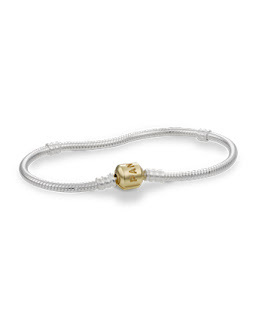 to get me a Pandora Bracelet as I have been wanting one for ages! 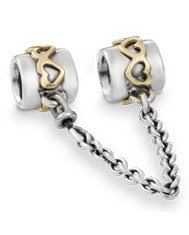 They are so cool cos you can add a charm for any special events, or to symbolise something that happens. I think thats a lovely idea! When we got there, the shop was shut! There is nothing else to see in Fulham so we got on a bus and then got off the bus at the all exclusive and expensive store in London 'Harrods' to have a look. We wandered around there for a little while, amazed at the prices people pay for things! And then continued on our walk. We went through Hyde Park, to Oxford Street, and on the way along oxford st stumbed along a jewellery shop that sold Pandora (bit trickier to get in London). 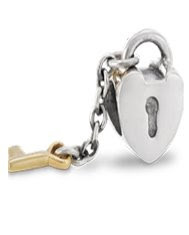 So Clint spoiled me rotten and got me a lovely gold clasp Pandora bracelet and bout extra charms of a safety clasp, and a key to my heart charm. I felt so special and was so excited and couldnt stop looking at my hand all day! Then we continued on our walking towards Hamleys, the biggest toy store in London and had a look there. Was cool, but nothing like the big toy stores we have at home like Toys R Us. After that we headed towards Tottenham Court Road, by this time, we had been walking all day and were quite exhausted so we caught a bus home. We also went to Picadilly Circus somewhere in the day to. Overall, I had a lovely relaxing day with my boy! Couldnt have asked for a nicer way to spend my 25th Birthday. Some other sight seeing pictures from the day. You must of had a very relaxing day on your birthday & you were spoiled to get such a nice present. Love Grandma.